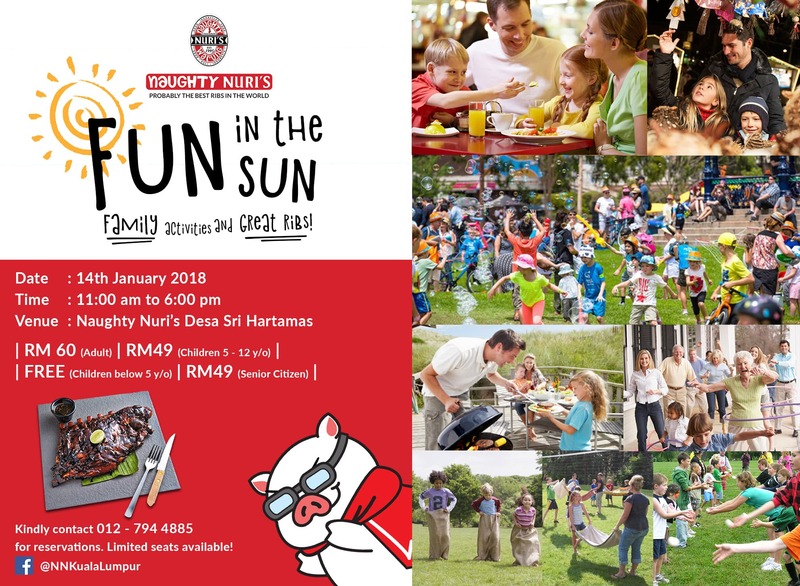 Naughty Nuri’s is throwing a ‘Fun in the Sun’ party on the 14th of January 2018, and everyone’s invited! It’s a family-friendly barbecue buffet with entertainment kids and adults alike. The dishes of the day include barbecue specialties like the Naughty Nuri’s 1995 Signature BBQ Spare Ribs, BBQ Pork Chop, BBQ Satay Lilit, and BBQ Pork Loin, among others. To complement the juicy meats, there’ll be sides of Grilled Corn on the Cob, Balinese Jacket Potato, and a Mixed Salad. This is the day to throw all diet plans out the window! Drinks are priced separately. For more information and to book your seats, call +6012 794 4885 or visit the restaurant’s Facebook page.